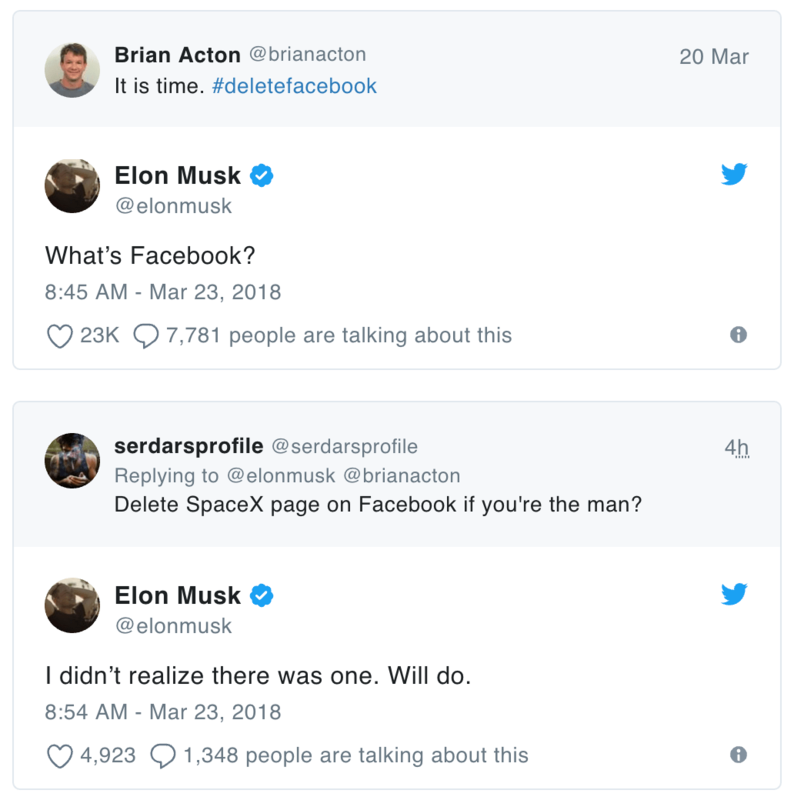 Whether or not he genuinely did not know what Facebook was and whether SpaceX had a Facebook page (hard to believe), he does appear to have taken some direct action because as of right now, the Facebook page for SpaceX no longer exists, ditto Tesla, and what appears to have been his own page. And apparently he’s not stopping. Musk’s antics here are clearly pretty flippant, and for a normal person who relies on Facebook as a vital communications tool, deleting everything on a whim is a far more weighty decision. But following the continuing Cambridge Analytica scandal and the increasing awareness that Facebook’s business model is and always has been collecting and selling all your data, the popular push to delete your account has never been stronger. You may not get the chance to follow him to Mars, but you can certainly follow him into a world without a Facebook account.